For an individual that these two words resonate with, there isn’t really a mobile application which adds an element of competition into travelling. Taking inspiration from the likes of Pokemon GO and the Fitbit app, the concept of Wanderel uses your phone’s in-built GPS system to pinpoint surrounding landmarks in Europe and gives you points for each of the landmarks you have visited. Add your friends and compare scores, and see their own ‘Landmark Map’ pointing out all the sites that they have seen. Furthermore, you can use this as a way of helping plan your own trips. Message your friends to ask what they thought of a particular city, and which landmarks they thought were the best there! There is not always an information board when you visit somewhere for the first time, nor will you always see signs pointing you to the closest landmarks around. Using your phone’s in-built GPS the app will be able to notify you with information about landmarks you are close to. If you then choose to visit the site then you will be able to “Check In” when close enough for a GPS connection, thus logging the landmark into your account and enabling you to gain those all important points for the visit. Furthermore, you can add your friends in order to compare who is the best “Wandereler” out of you all. You start off as a “Beginner Wandereler” with up to 1000 points, moving up to an “Intermediate Wandereler” with up to 10,000 points and finally gaining the badge of “Master Wandereler” with over 10,000 points. Each landmark has different points allocated to it based on size and popularity. You will also gain badges for visiting a certain amount of landmarks for each country. 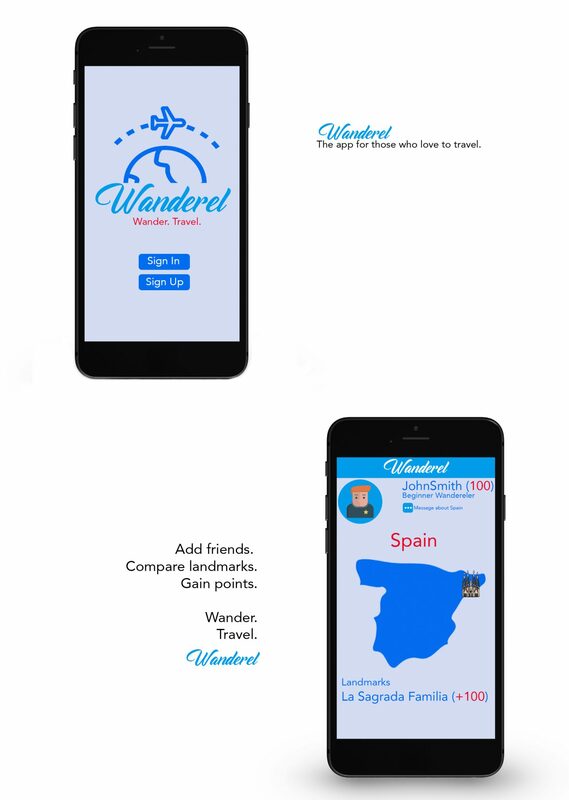 With the current coverage of Europe for instance you can gain the “English Wandereler” badge for over 20 landmarks visited, for the same amount of landmarks in Spain you would gain the “Spanish Wandereler” badge. At the current time, the app is specifically for use in Europe. In the future however, we would love to branch out and cover a global scale of landmarks. Imagine being able to gain information on the most remote of places simply by having the app on your mobile, it will be the virtual tour guide everyone will use and we hope that it will encourage even more adventure, and even more Wanderelers. Make sure to follow the below links to head to the app stores and download it. Share this post with your friends also so they know about it and you can have some competition already!